Our measurement guidelines are listed below, for reference. For best results, you will need to come into our shop, and meet with one of our talented team members! Head – measure 3/4″ above ear, where your hat will be worn. Pull the tape tight, to measure within 1/8″. Neck – measure around the base of the neck. Shoulder – measure across the shoulder, bone to bone. Sleeve Length – measure from nape of neck, over the shoulder, to the wrist bone, to desired length (approximately, to the first knuckle on your thumb). Bust/Chest – with arms down and relaxed, measure around the fullest part of the chest. Keep tape under the arms, across the shoulder blades. Coat Length – measure from the nape of the neck to below the seat area. Waist – measure around waist, where you normally wear your pants. Measure over shirt, but not over pants or belt. Hips – measure at the fullest part of your hips. Make sure tape is comfortable and not too tight (7-9″ below natural waist). Inseam – measure from crotch, along inside leg to desired length. Take measurement with shoes on. Outseam – measure from bottom of waistband along outside seam, to desired length. Take measurement with shoes on. 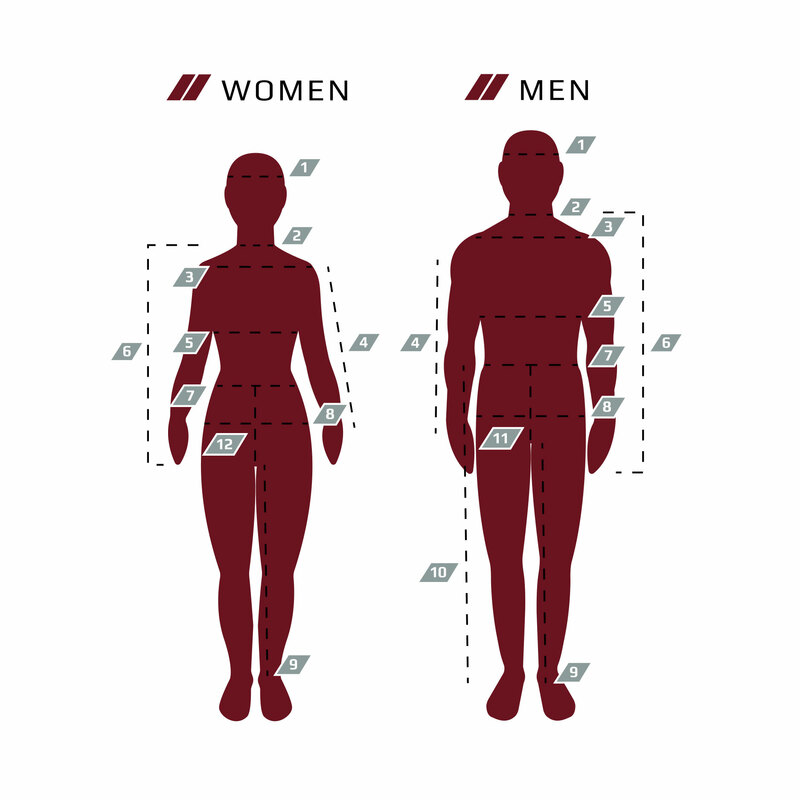 Male Rise – difference between inseam and outseam. Female Rise – sitting on chair, measure from bottom of waistband to seat on chair.